Decoding Satan: Christians and Jews Now Compare #Trump to Persian King #Cyrus – Will He Build the Third #Temple? 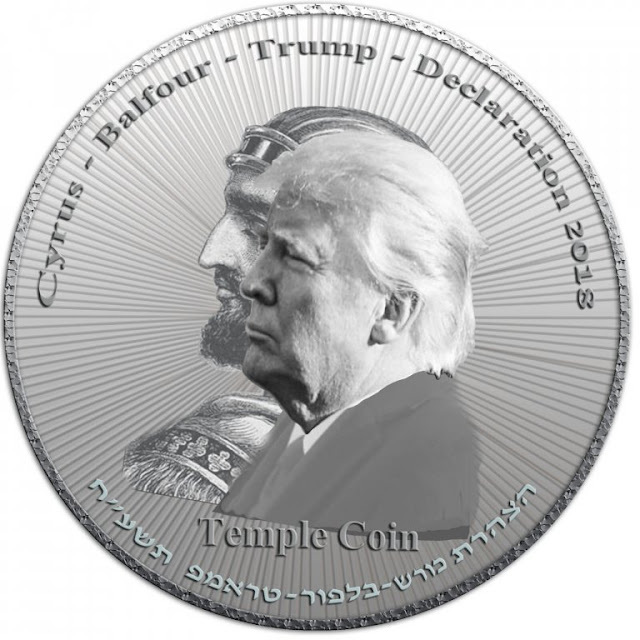 Christians and Jews Now Compare #Trump to Persian King #Cyrus – Will He Build the Third #Temple? The speed with which Cyrus rose to world dominion was nothing short of miraculous. At the beginning of the chapter, Yeshayahu predicts that on the night Cyrus will march his army into Babylonia, the gates of the city will be left open. In Cyrus’s own chronicle of his conquest, he describes in amazement how the gates of the cities opened before his armies. According to the prophet, this will be a sign to the new king Cyrus that he was chosen for a larger, divine purpose – restoring the people of Israel to their natural home. Indeed, one of the first things Cyrus does as king is grant permission to the Jews to return to Israel and to rebuild the Beit Hamikdash (see Ezra 1), as predicted above (44:26-28). After a period of exile, the children of Israel return home. Contemporary commentator Amos Hakham sees this as a reference to the return of the Jews to the Land of Israel after seventy years of Babylonian exile. In 538 BCE, Cyrus the Great, king of the Persian empire, defeats the Babylonian empire and issues a declaration that the Jews may return to their homeland and rebuild the Beit Hamikdash (Ezra chapter 1). This is considered the beginning of the second Temple period. The psalmist acknowledges Hashem’s desire for His nation to return to the Promised Land. Upon their return, the land will again bring forth its bountiful produce and flourish (verse 13).